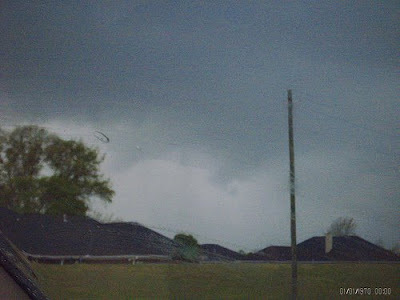 John Brown, Terry Sasser, Sarah Vines, Michelle Henderson, Rick Lipscomb and I witnessed a wall cloud and rain-wrapped EF1 tornado between 3:20 and 3:45 neat Samantha in Tuscaloosa County, Alabama on April 2, 2009. 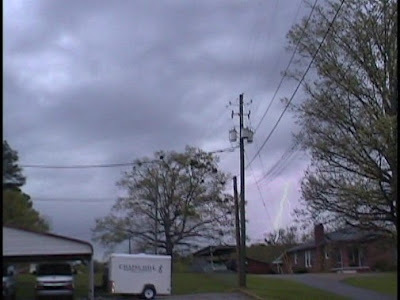 I was very disappointed to learn when I got home that my best footage of the wall cloud was not actually made because my camera was on "pause". You will notice that around the 4:44 point in the video. Fortunately John was streaming video and I am certain that he will post his coverage soon. I hope that Terry and Rick have some good footage. 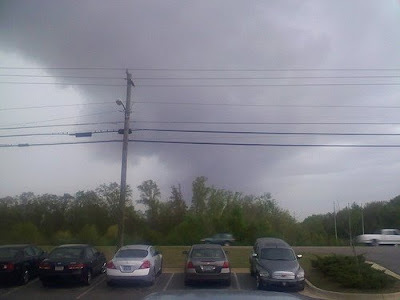 We were listening to the simulcast of James Spann, Chief Meteorologist at ABC 33/40 on 98.1 FM WTXT. James was streaming John's video live on television. 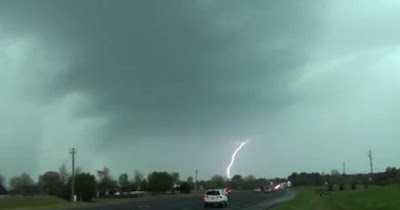 The NWS issued a warning at 3:31, I reported a wall cloud at 3:36, and the tornado was on the ground from 3:43 until 3:44. It was on the ground for approximately 3/5 of a mile. 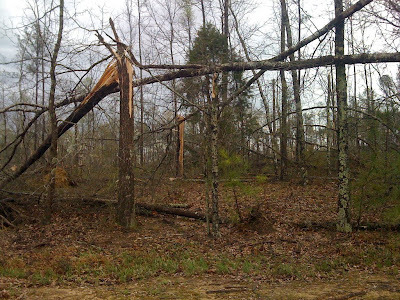 It was confirmed as an EF1 by the NWS Birmingham. Sarah Vines made a very good call while monitoring radar, saying we should head north immediately to view this storm. I agreed and spoke to John and Rick, who were also in agreement. 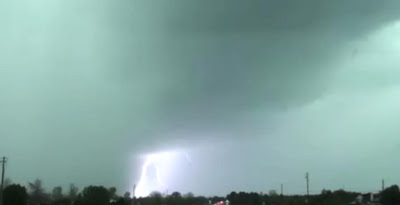 John made a very good decision to leave the church and move just a little farther north, closer to Mitt Larry Road, where we got an excellent view of the wall cloud and rain-wrapped tornado. 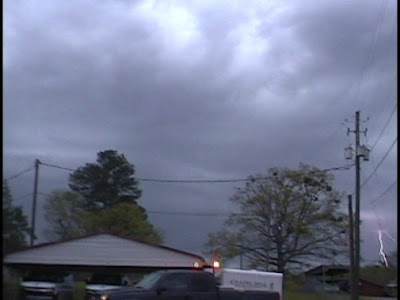 3:31 BMX issues Tornado Warning for Pickens, Tuscaloosa [AL] till 4:00 PM CDT ...* AT 331 PM CDT...NATIONAL WEATHER SERVICE DOPPLER RADAR INDICATED A SEVERE THUNDERSTORM CAPABLE OF PRODUCING A TORNADO 8 MILES WEST OF COKER...OR 6 MILES SOUTHEAST OF GORDO...MOVING NORTHEAST AT 45 MPH. 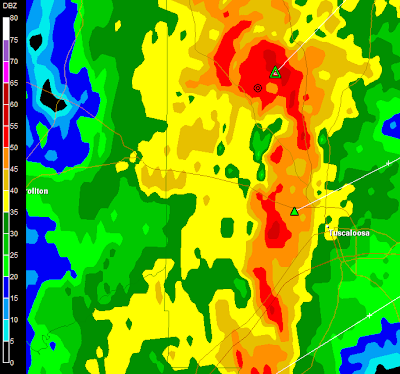 3:39 BMX continues Tornado Warning for Tuscaloosa [AL] till 4:00 PM CDT ...AT 339 PM CDT...NATIONAL WEATHER SERVICE DOPPLER RADAR CONTINUED TO INDICATE A TORNADO. 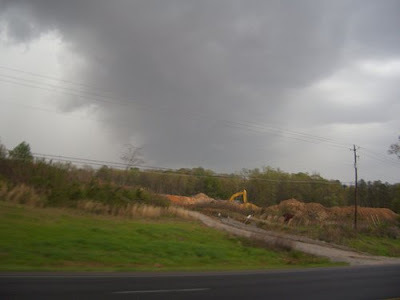 THIS TORNADO WAS LOCATED NEAR ECHOLA...OR 11 MILES NORTHWEST OF NORTHPORT...MOVING NORTHEAST AT 45 MPH. AWESOME!!!! that was a such a great chase Mike. Love the video. Need to do it again soon!